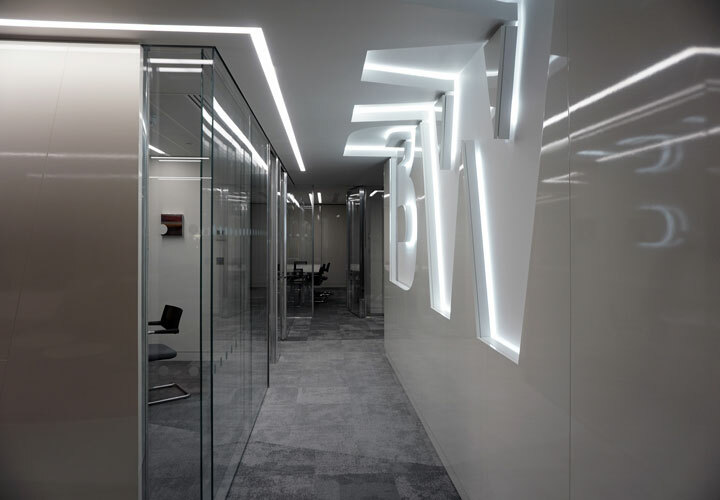 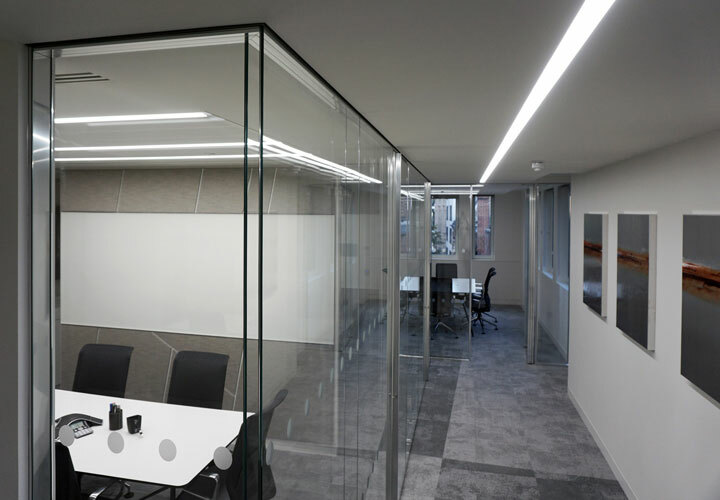 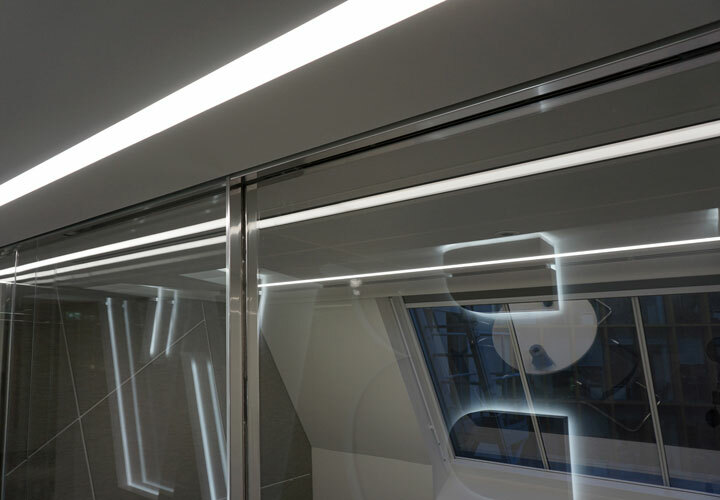 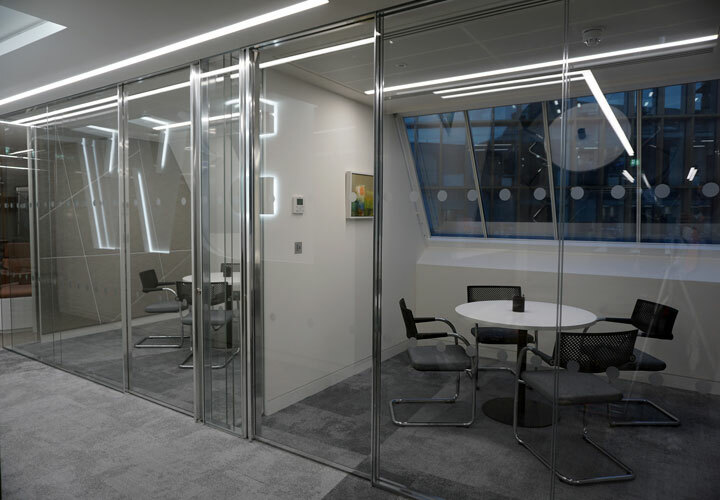 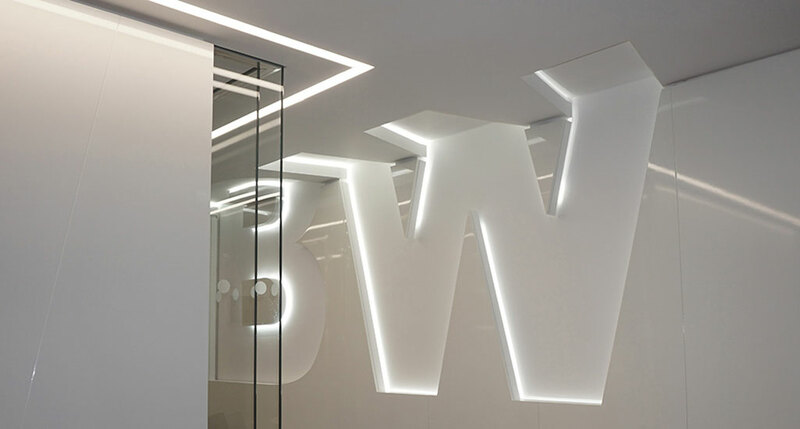 Stunning new offices for leading fit out contractor BW Interiors to reflect quality and attention to detail that they implement on all their projects. 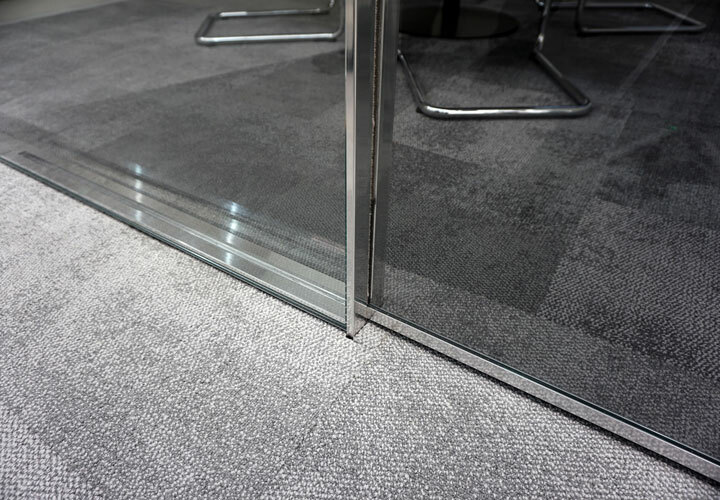 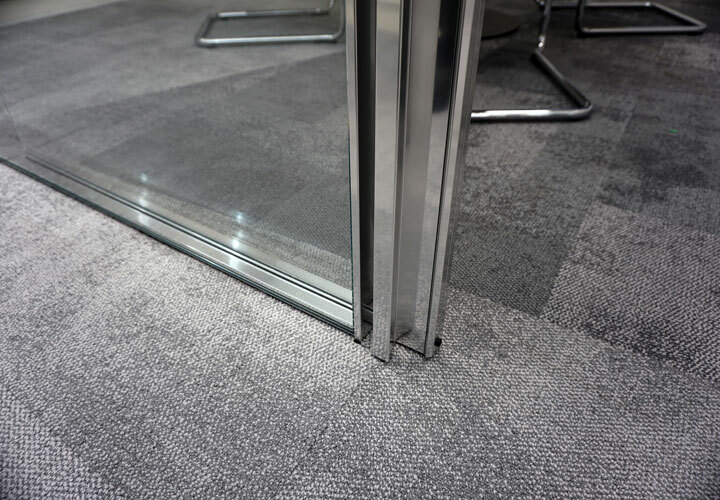 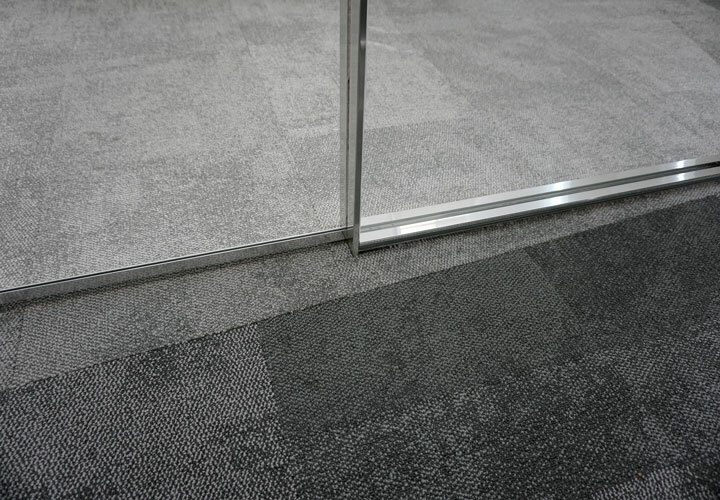 Partition system Vista with integrated dry lining at the head and vertical abutments, leaving a very small retaining profile at the bottom to blend with the diagonal floor design pattern. 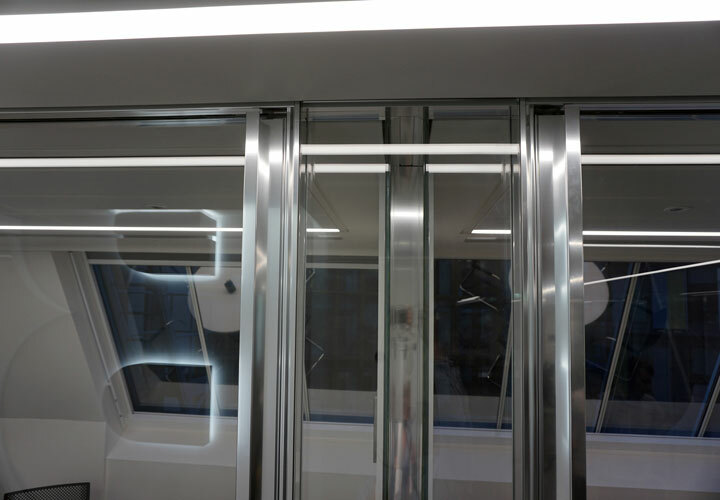 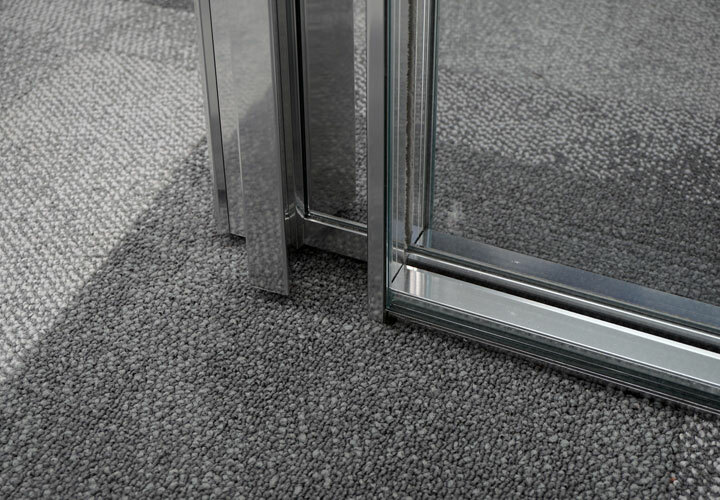 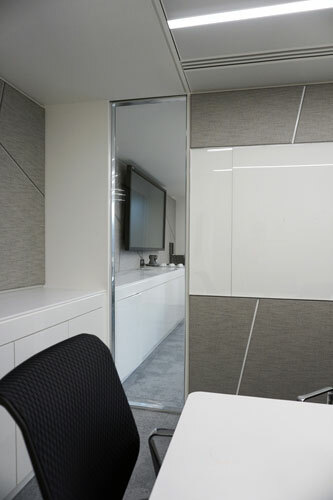 Sliding doors feature Vista design of totally recessed fittings with integral handle. 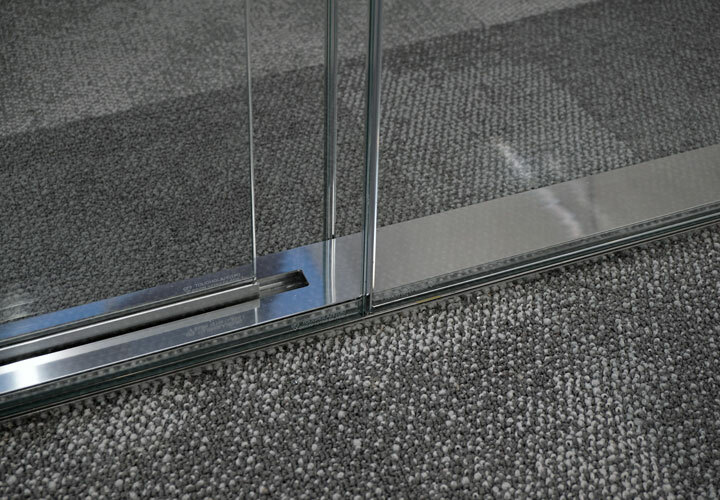 Polished aluminium finish to all visible parts for refined look and assimilation to other finishes. 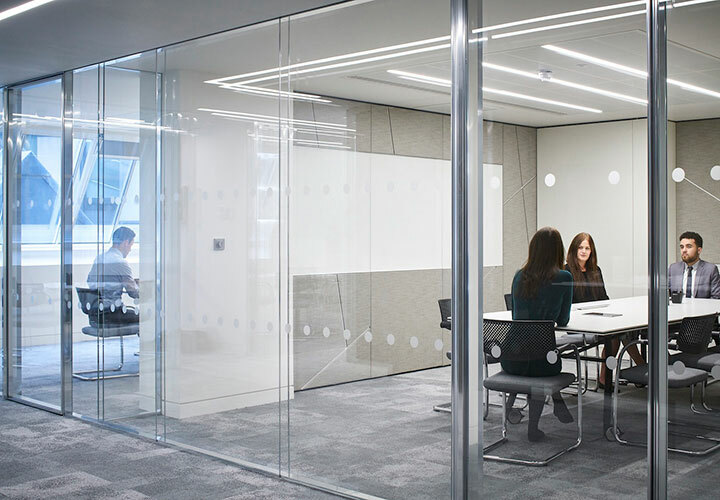 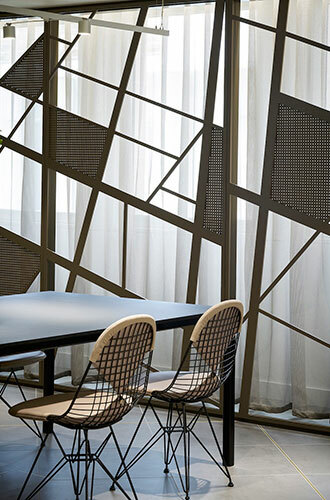 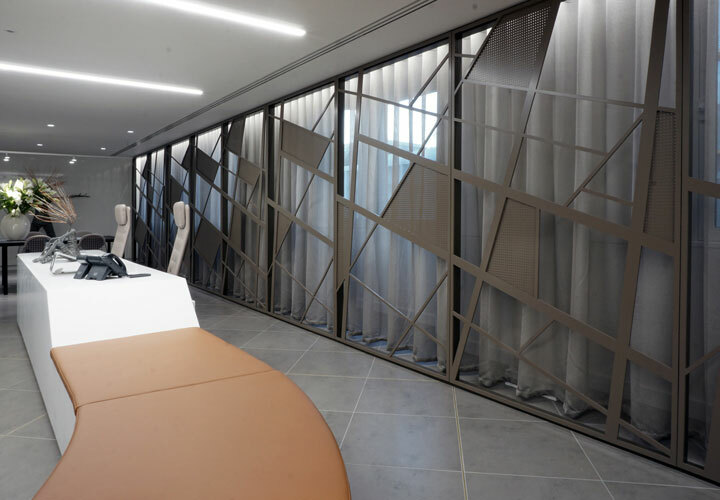 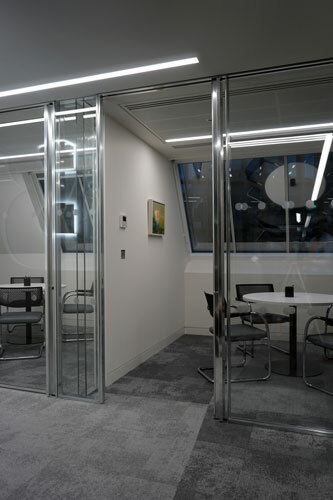 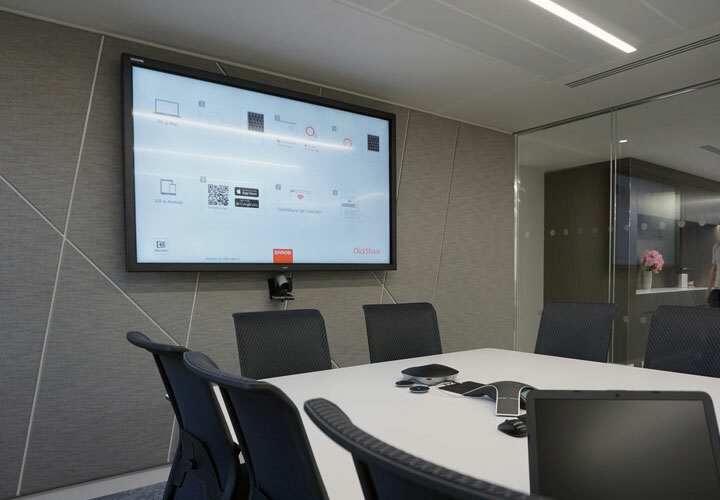 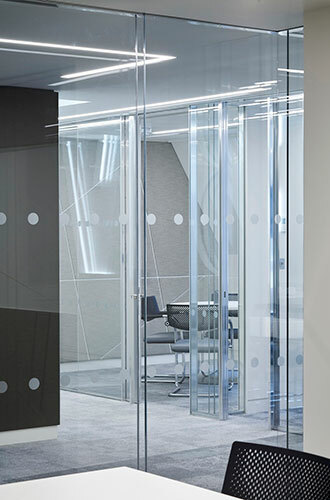 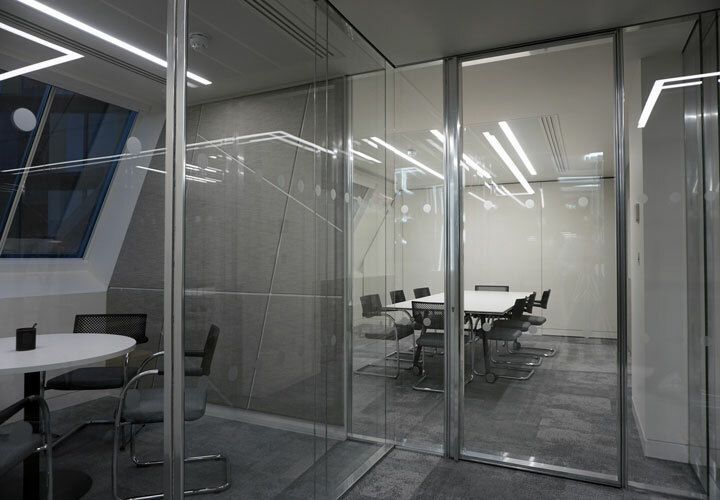 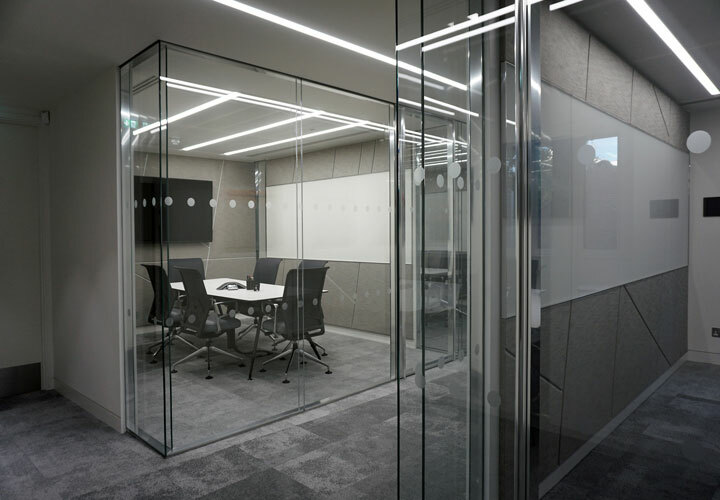 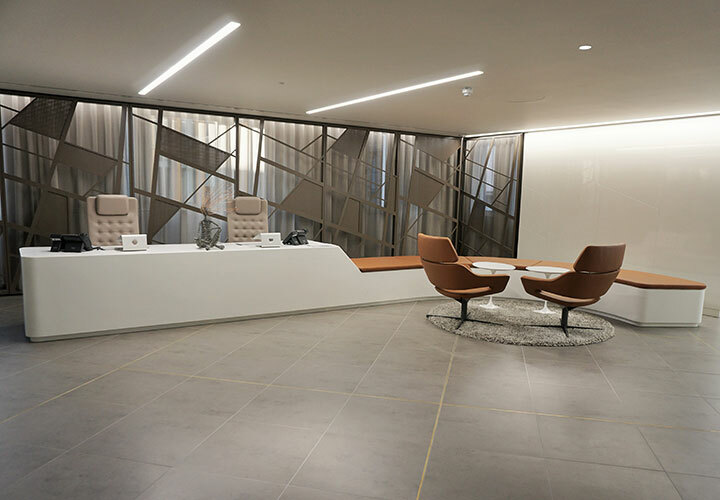 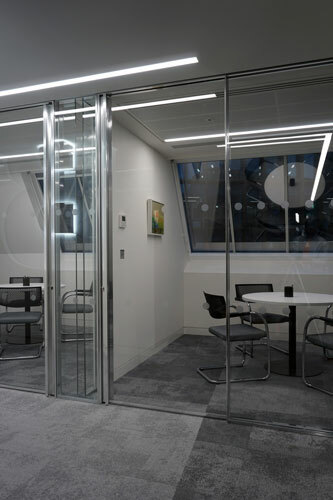 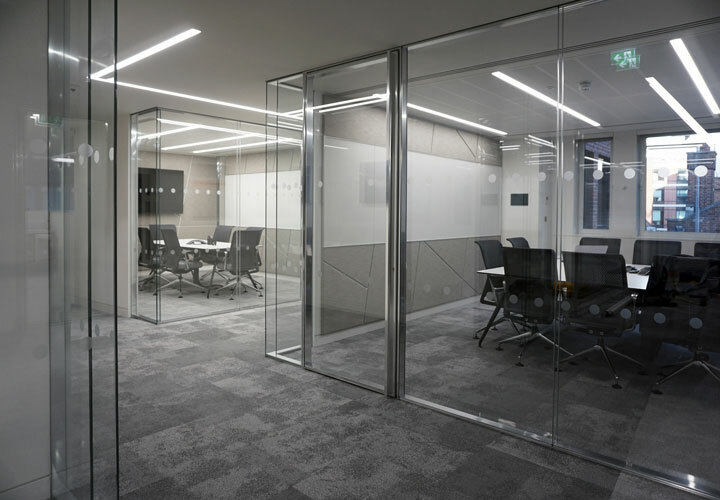 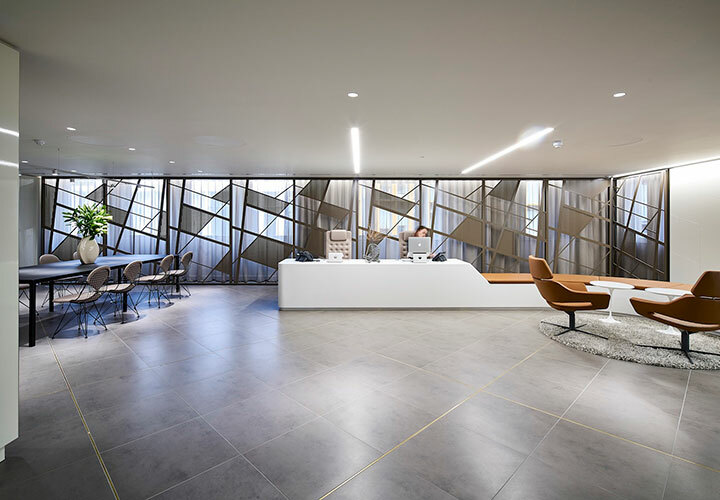 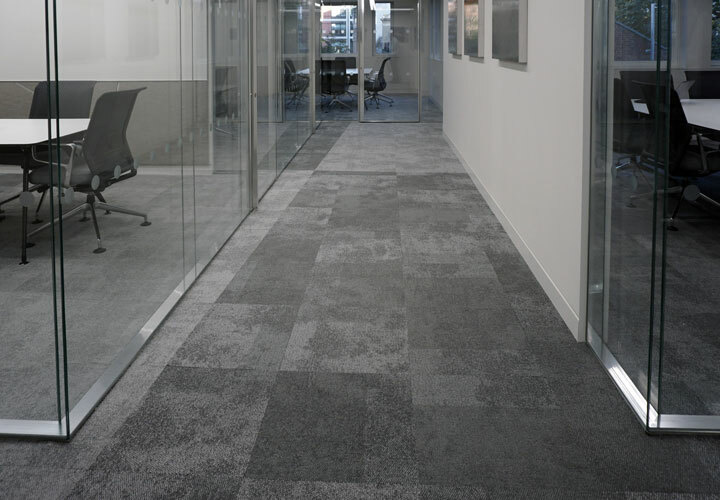 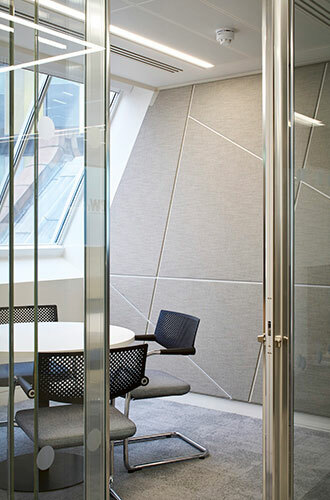 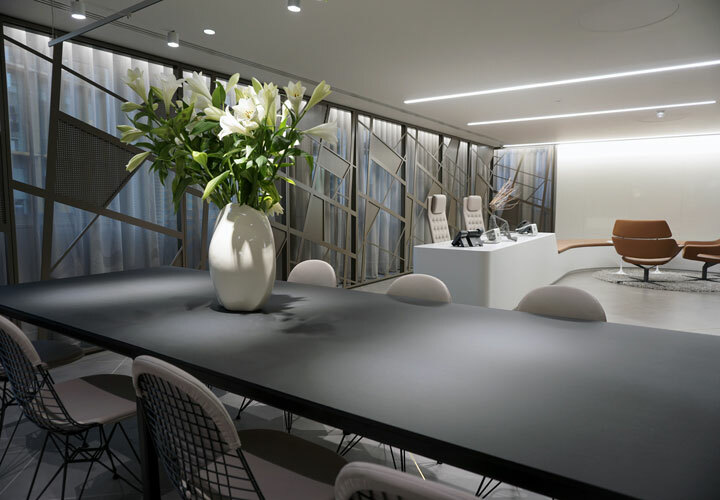 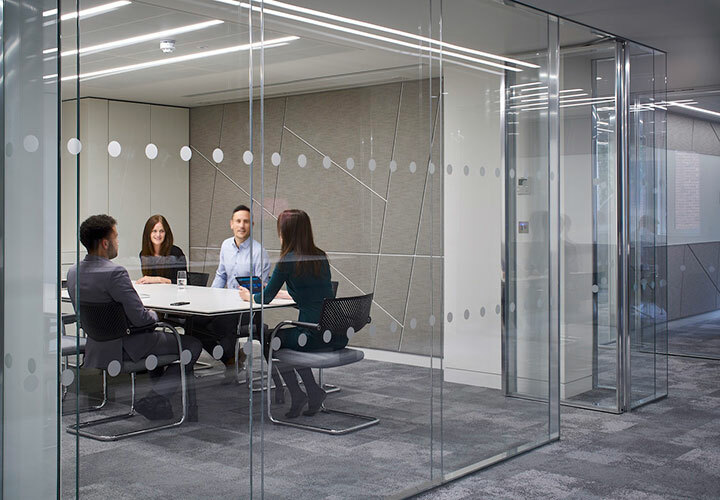 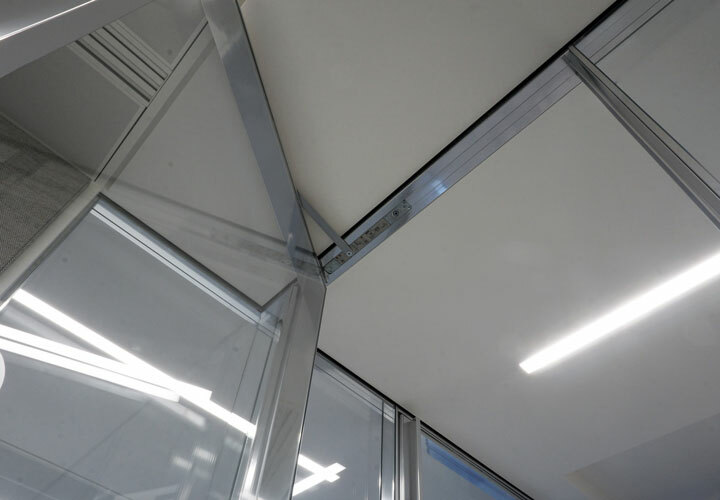 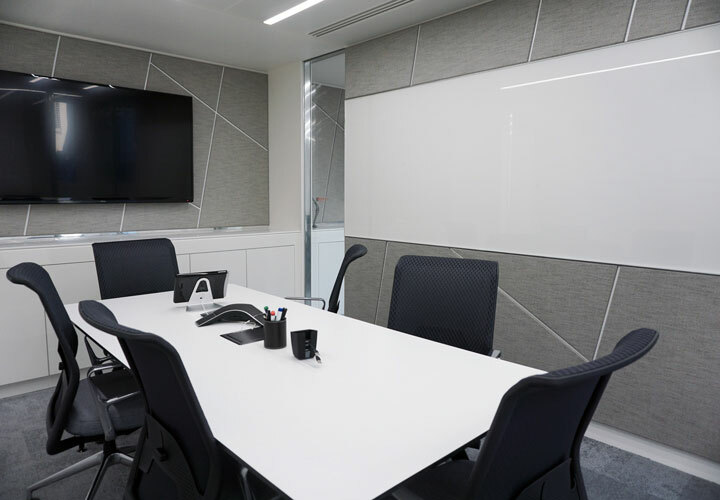 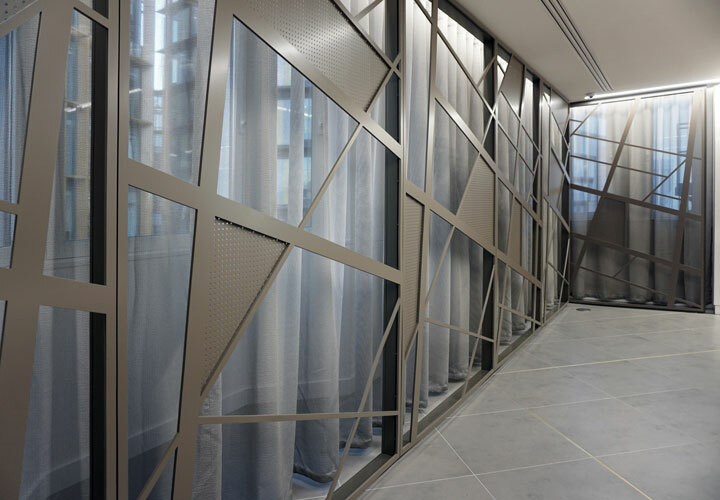 Installation complemented by large feature screen in the entrance with the corporate diagonal pattern, which is repeated in the acoustic screen of the meeting rooms and other fixtures.